Do we want 14" Star Trek??? Thread: Do we want 14" Star Trek??? 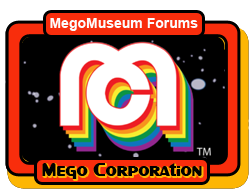 Do we want 14" Star Trek Megos?? I hate to say it..... But, if they made them. I would probably buy some? No. I prefer the 8". I only bought Flash because he is an all time favorite character of mine. I do wish he was 8" because otherwise he is perfect. No, I don't have room for a 14" collection, and I don't plan on spending money to start one. I do have the QMX 12inch expensive TOS figures though. No. I'm interested in more 8" figures that expand and complement the classic Mego ST:TOS line. I don't need them but I would probably buy them. I love Star Trek, but I would pass on a 14" line, just don't have the space, plus I just like collecting the 8" figures. definitely buy that, just because it would fit in with the 8" Trek figures. I'd rather have more eight inch figures, than get another size of the characters already produced. I’d want 12” mego Trek. I've been all in on the 14 inch DC figures, and have gotten all the 8 inch Trek, but I am not sure I would do Trek in the 14 inch scale. Now if they did monsters in the 14 inch scale, I would pick those up.